Place this contemporary Safavieh Courtyard area rug in your home for a piece that makes a statement. Bring this high quality plush synthetic indoor/outdoor rug into your home to upgrade your interior design immensely. A durable product is assured with this machine-made rug. Quality is assured with this geometric patterned black rug. 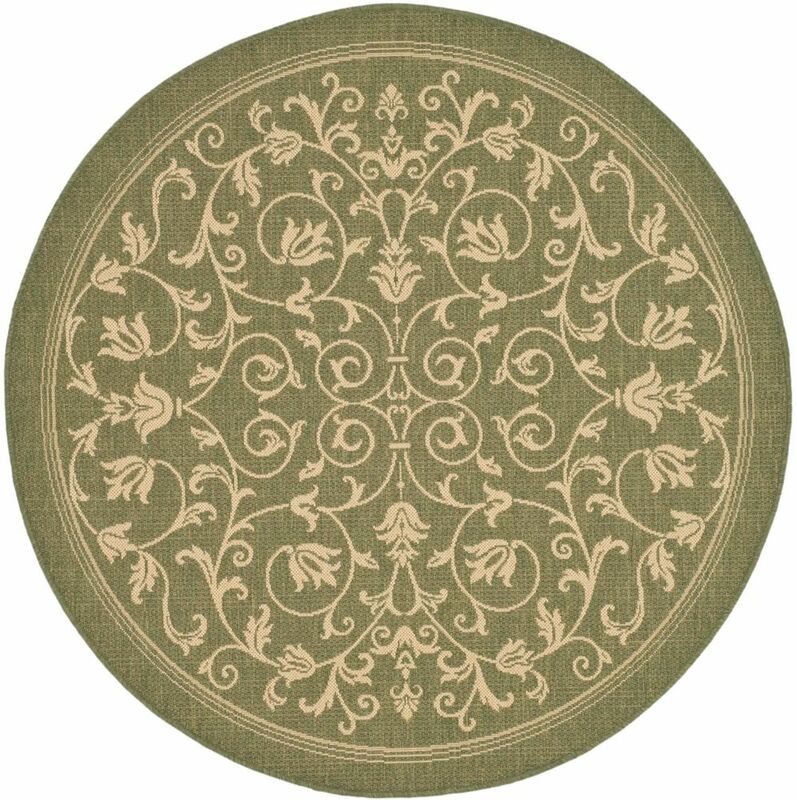 Courtyard Marc Olive / Natural 5 ft. 3 inch x 5 ft. 3 inch Indoor/Outdoor Round Area Rug This Safavieh Courtyard area rug is sure to add to the modern dicor of any home. Decor does not have to be hard with this plush synthetic indoor/outdoor rug. The machine-made construction of this area rug is sure to withstand wear and tear. Add this floral plants patterned green rug to the dicor of your home for a contemporary infusion.